We strive to make this an experience you'll never forget! A trip all Australian boys (and girls) should make. Along with AFL Grandfinals, Birdsville Races, Bathurst and the Melbourne Cup. Highly recommended for any fisherman. What an awesome experience. Fishing on steroids. Lots of top 5 experiences! So many great memories. Thanks heaps. Would love to come back again and try and catch the metre barra. No idea what number trip this was for Michael - but the first for me. Now I know what all the fuss is about. 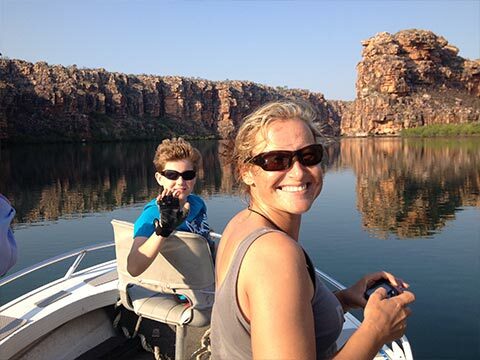 The Kimberley is spectacular, the fishing was awesome and so much fun. Have had a really chilled time. Thanks Mal and crew - you do an amazing job in such a remote, beautiful, isolated part of the world, we lacked for nothing! Thanks Mal and the crew. Sensational experience that far exceeded my expectations on many fronts. The boys were great company, the fishing unbelievable, the food first class, the scenery magnificent and the Hyland C a comfortable home for the past 11 days. I'll be back! To the skipper and the crew on Hyland C, Mal and team, thanks for an outstanding and unforgettable experience of a lifetime. 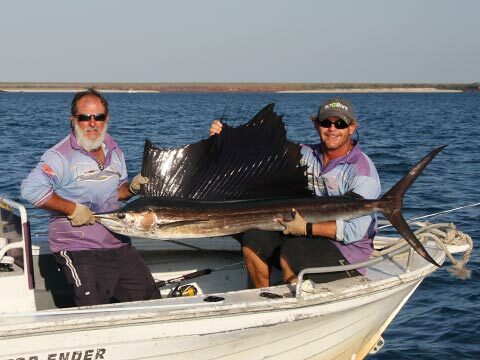 Sailfish and 114cm barramundi all in the same day has to be my personal best. I couldn't have accomplished this mighty feat without your high level skills and knowledge. Thanks again for the hospitality and not to forget the sensational food washed down with home brew rum!! Few things in life are better when you get there than they appear on the video and films. This trip definitely was. The skipper (Mal) and the boys were fabulous. The fishing was excellent, the caves, beaches and rock art were amazing and the food was 1st class. 5 guys who really didn't know how to fish started the weekand by the end of it we were flicking lures with some consistency. Just shows how good these guys (Mal and the boys) are. Thanks tons. Good chance you'll see us again. To any readers - The captain (crab whisperer - has crabs throwing their arms) and crew of the Hyland C have once again (just read all previous entries) given all aboard great fishing, great boating and most of all a great time. What I wonder about is how they have the fish trained to turn up whenever we're around. To catch a GT on fly was sensational. Thanks for the memories. A wonderful week with wonderful people. We will be back. PS - with cooking as good as this don't think you will even taste fish as well cooked again - in fact you will be hard pressed to find better prepared food anywhere. Thanks boys. 4th trip in 10 years, they just keep improving. See you for my 70th! Thanks to Mal and the crew on their expertise for an outstanding fishing adventure. Mal and the boys - Thanks!! You welcomed us, made us at home, fed us unbelievably and taught me more about fishing and human nature than I could ever have imagined. See you when I come back. Apart from the gourmet food, being dropped onto the fishing spots at the right time, the scenery - great way to unwind, THANKS! Best week I've had in a long time, caught a great variety of fish, oysters, took in the sights and the crew were a fantastic band of blokes. Excellent meals and company. A very professional outfit run by Mal. Ahh! The serenity. Had such a great time from oystering to sail fishing, crocs to sharks and all the elusive barra. Not to mention the food and great company. Thanks so much Mal and crew. Such a wondeful experience! You all went above and beyond the call of duty! 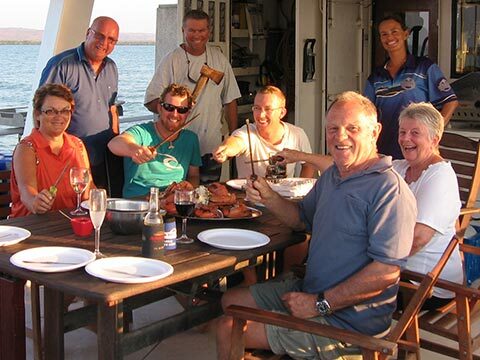 Fantastic tours, fishing, food and company. Hope you miss our giggles. Blessings. Thank you Mal for trying so hard to get me that Barra - I am so pleased and excited to have achieved it. You made this amazing adventure one we will never forget. You did so well with all the "girly girls" and your meals were fantastic - yum. Couldn't have asked for a better crew! You guys are awesome! Thanks for looking after us so well. Will never forget it! 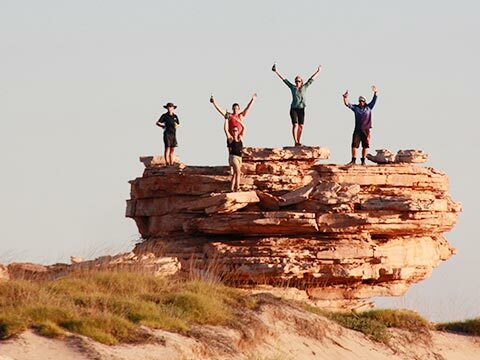 Wether it’s a barra and bluewater mothership expedition or fishing the last frontier of the Kimberley Coast, we can customise our adventure specifically for you. For an experience of a lifetime, join us doing what we love best – fishing remote Top End rivers and the pristine, untouched North Kimberley coastlines.